Losing a tooth can be someone’s worst nightmare. It affects daily routines and physical appearance. The mouth’s functions, too, are affected. Eating and speaking may be challenging for some. It can also cause a drastic change in someone’s appearance causing them to lose confidence and stop smiling broadly. Restorative dentistry has provided multiple options for bringing back smiles like dentures, bridges, and implants. People who are missing teeth have to balance the benefits that restorations can bring against the associated costs. At Prevent Dental Suite, we provide the best solution for your missing teeth without breaking the bank. If you are looking for high quality and affordable dental implants in Gold Coast, you have come to the right place! Look, feel, and function like your old self – confident in your smile! Many years ago, ancient Egyptians used shells and ivory to replace missing teeth. The ancient Etruscans even carved the bones of oxen into substitutes for lost natural teeth. 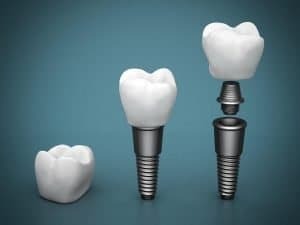 Dental implants changed for the better as researchers discovered that there are metals that can fuse with bone, a giant leap forward in the development and success of dental implantation. 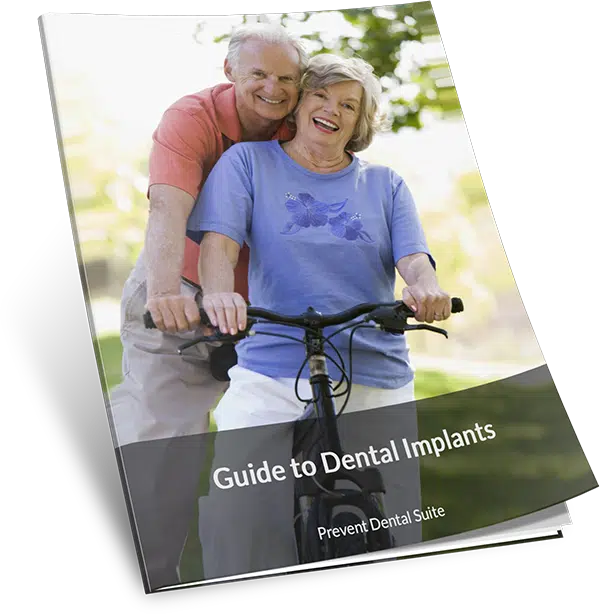 Dental implants have been widely used over the years, and they have proven to be an effective way to restore the natural state of your teeth and smile using artificial replacements. Dental implants are metal (usually titanium) posts or frames that serve as the artificial roots for missing teeth. They are surgically inserted through the gums, into the jawbone. The implant attaches to the bone and integrates to it over time. This integration allows the implant to fuse to the bone and helps it stabilise and stay permanently. When a natural tooth is missing, the teeth on either side of the gap may shift and move into the space left behind, causing you to develop a ‘bad bite’. Even better, dental implants don’t need to be expensive! You can get affordable yet high-quality dental implants at Prevent Dental Suite at Gold Coast. Dental implants restore and improve your biting and chewing capacity. Because an implant substitutes for the root as well as the tooth, biting and chewing is restored to normal. They work like your natural teeth, allowing you to eat your favourite food and get back to your regular activities without discomfort or pain. They replace missing tooth/teeth by filling the gap left, improving self-esteem. Dental implants give a person the most natural looking replacement for teeth that have been lost. With proper adjustments, they can match the colour of the natural teeth. Dental implants are rugged and with good oral hygiene, can last a long time. They effectively restore the balance of pressure in the mouth, hence supporting natural face structure and preventing an irregular bite. Dental implants prevent bone loss. The jaw bone beneath a gap between teeth deteriorates as the missing tooth/teeth are no longer there to stimulate bone growth. 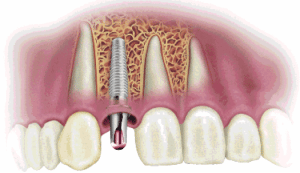 Dental implants restore the stimulation needed for natural bone growth. Dentures can speed up bone loss as they can become unsecured and rub against the bony ridge of the jaw, gradually wearing it away. Dental implants from Prevent Dental Suite in Gold Coast are guaranteed safe, high quality, and affordable. Dental implantation follows a meticulous procedure to ensure your safety and comfort. The steps performed during the implantation are listed below. Your dentist will inspect your jaw as preparation for the implant by visual examination and X-rays. It is best if you have healthy gums and jawbone to maximise the success of the implants. The metal posts are surgically inserted into your jawbone. Temporary crowns are placed to cover the implants from foreign material until it is time for permanent crowns. Take care of your dental implants in the same fashion you take care of your natural teeth. Although they are manufactured from durable material, they still wear out when not properly taken care of. Our goal is to provide quality dental implants without breaking the bank. At Prevent Dental Suite, we make sure that losing a tooth is not as burdensome and as expensive as you might think. High-quality doesn’t always mean expensive. We encourage you to take advantage of our latest offers. We offer affordable dental restorations for the residents of Gold Coast. Get your dental implants today! At Prevent Dental Suite, our goal is to make quality dental care affordable. We encourage you to take advantage of this offer for Gold Coast residents. 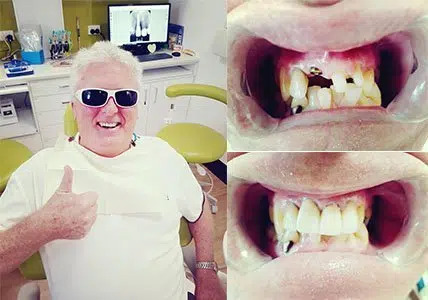 Affordable Dental Implants in Gold Coast: Single tooth dental implants at affordable price – implant and fixtures for $2000 and crown for only $1500.